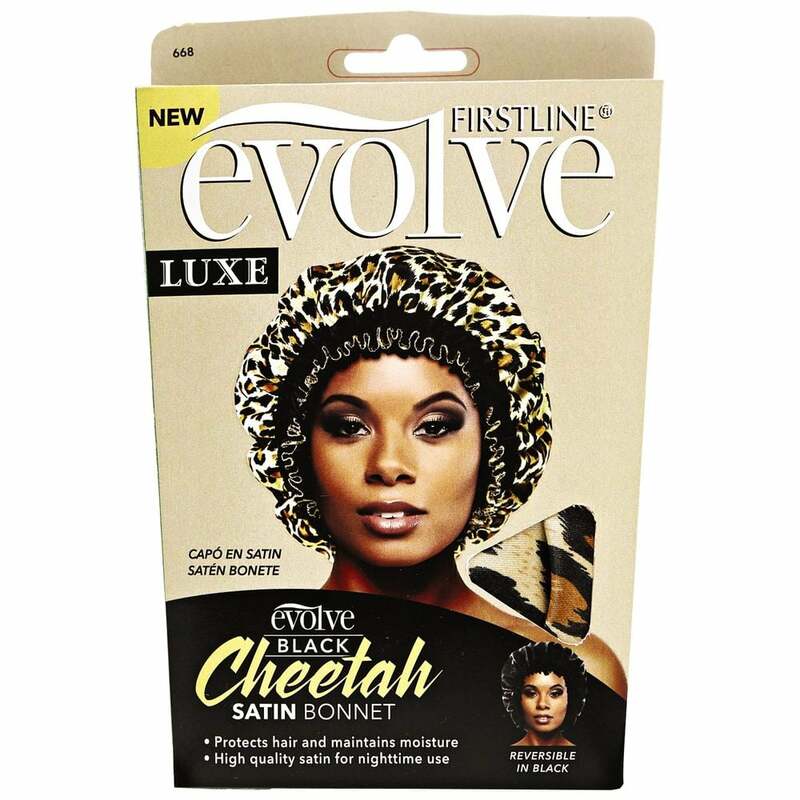 A satin bonnet has been an essential part of nearly every black girl's beauty regimen since . . . well, forever. I remember getting my first head scarf from my mom, which was passed down from her mom. I still tie my hair up at night to this day — and have one in every color and size, which I rotate depending on whether my hair is straight or curly. And while there are tons of bonnets out there, not all of them are created equal. 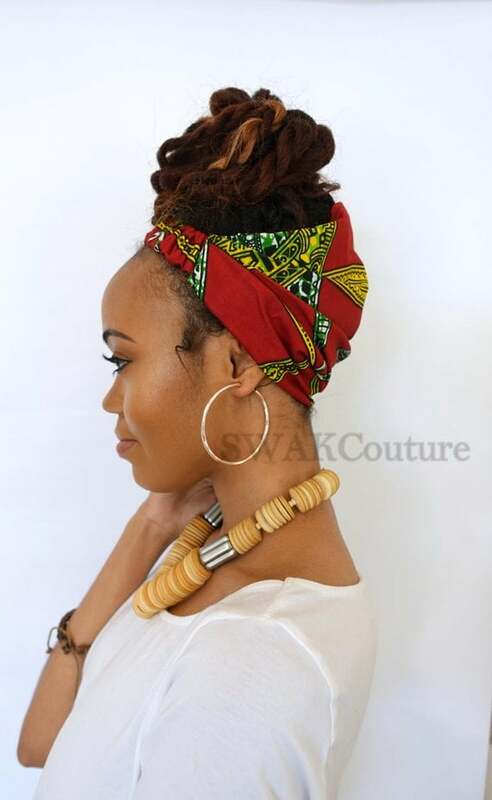 Some people might find a silk-textured headband or bandana more convenient to secure the hair along their edges. Others might prefer to gather all their hair in a loose-fitted cap for comfort. Whatever your style, we've got an option for you. 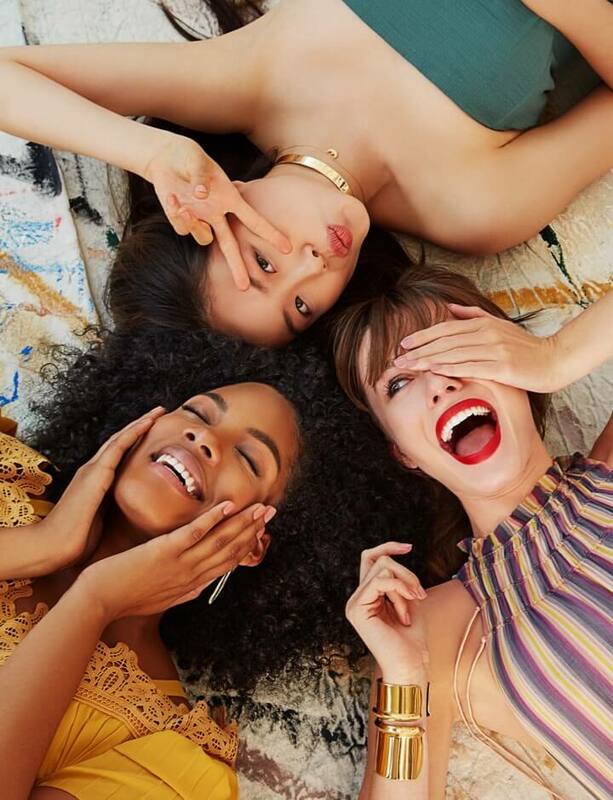 Scroll ahead for the cutest options on the market that'll help you sleep pretty and wake up in the morning with flawless hair. 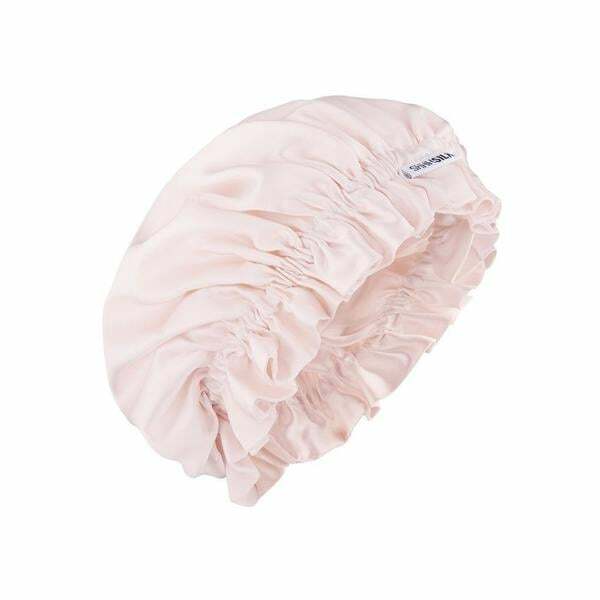 If you have curly hair (or just want to rock a cute bonnet), this Faziah Satin-Lined Bonnet ($25) will look superstylish whether you're bare faced or glammed up. 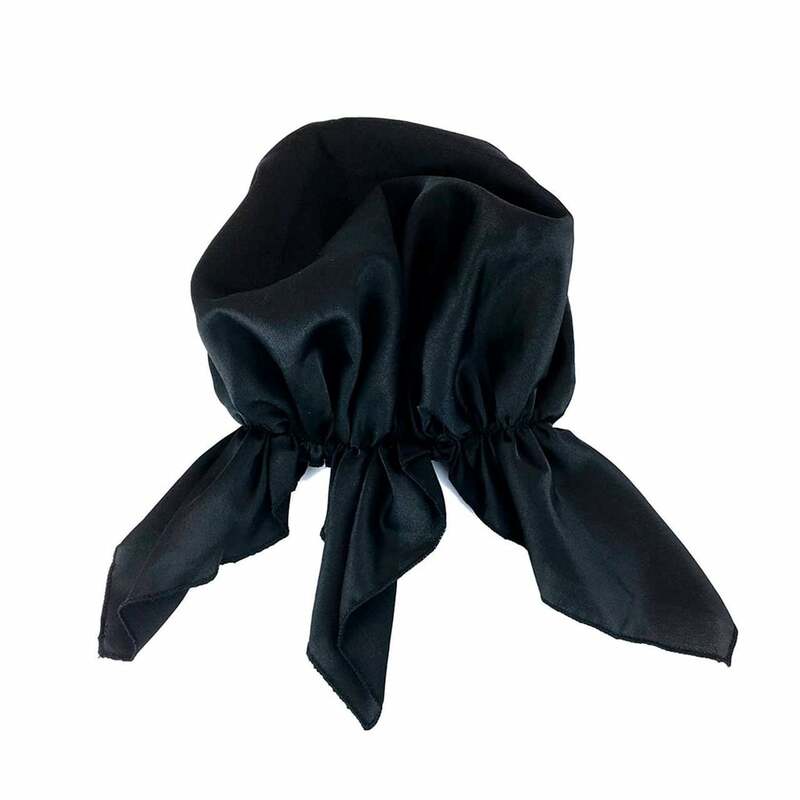 This KitschPRO Black Satin Head Scarf ($12) comes with three silky flaps that make it easy to tie up your hair and keep it secure. 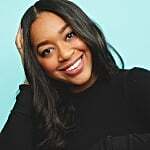 If you wrap up your straight hair at night, a large neck scarf (like this Urban Outfitters Large Silky Square Scarf ($18)) is easy to maneuver, so you can keep it smooth and sleek while you sleep. 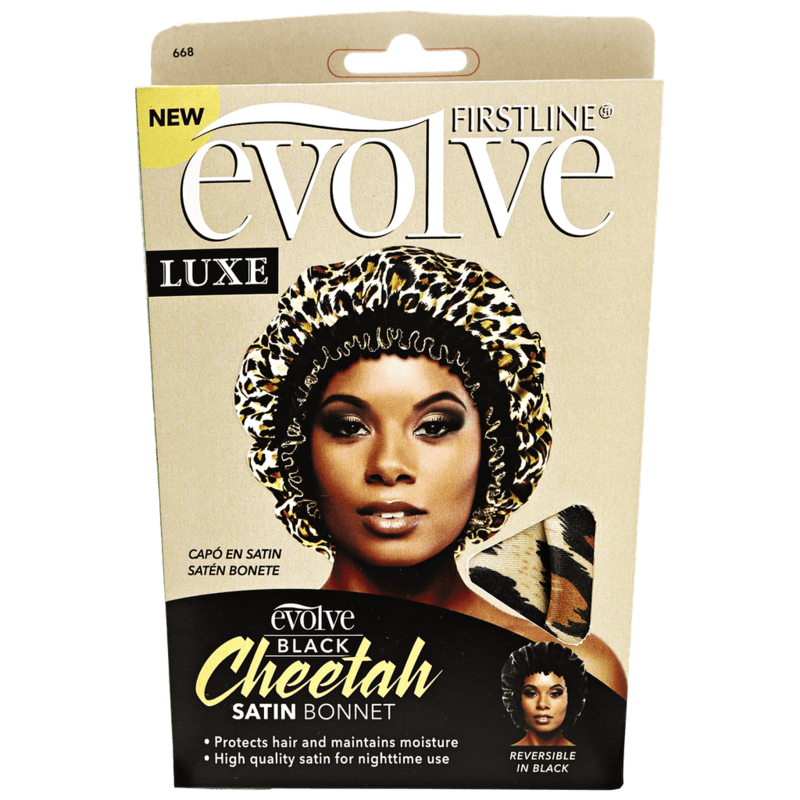 This Evolve Satin Wide Edge Bonnet ($5) is your classic satin bonnet but in a fierce cheetah print. 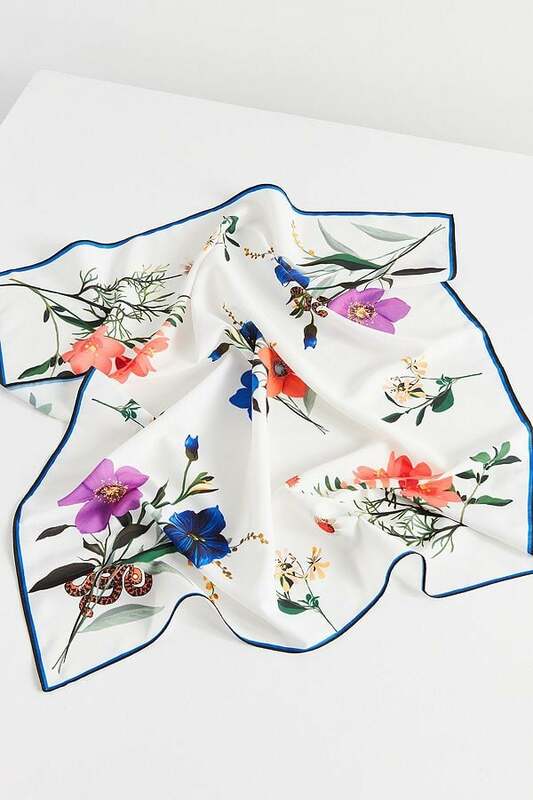 Ideal for shorter haircuts, this Silke London The Poppy Hair Wrap ($59) comes in a vibrant color and silky exterior that also looks and feels very luxe. 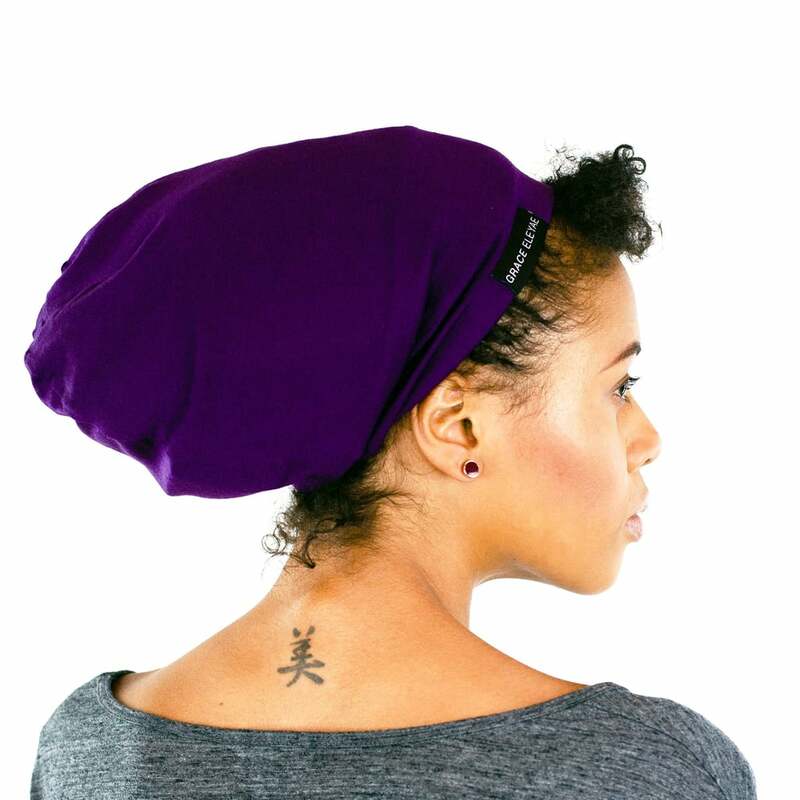 This Grace Eleyae Purple Slap Satin Lined Cap ($30) functions like an actual hat — just throw it on and tuck your hair inside. The interior is lined with satin to keep your hair shiny and retain moisture. 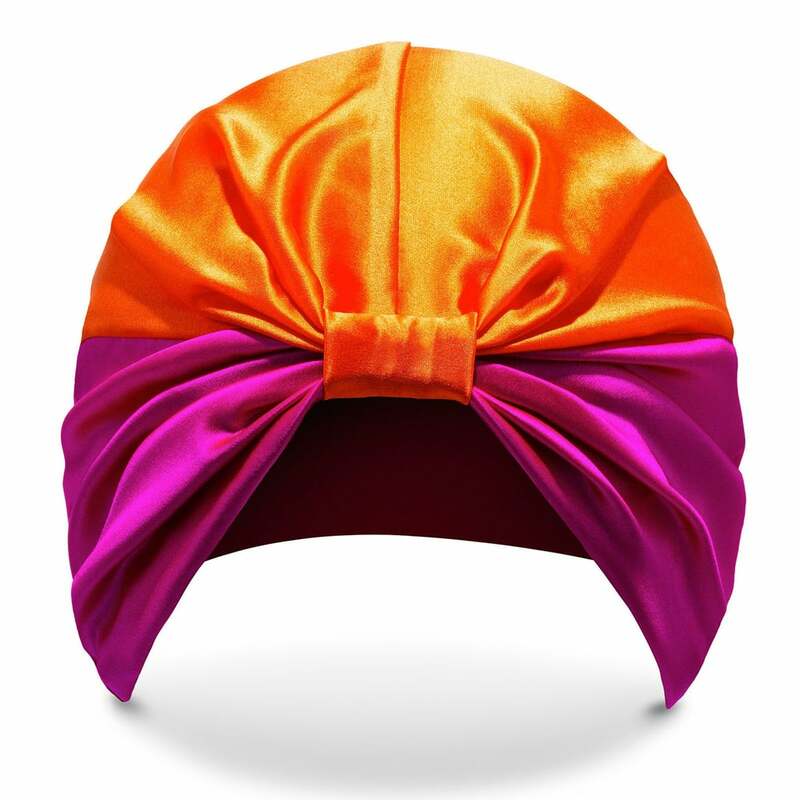 It also has an elastic band along the edges so the cap stays snug on your head. 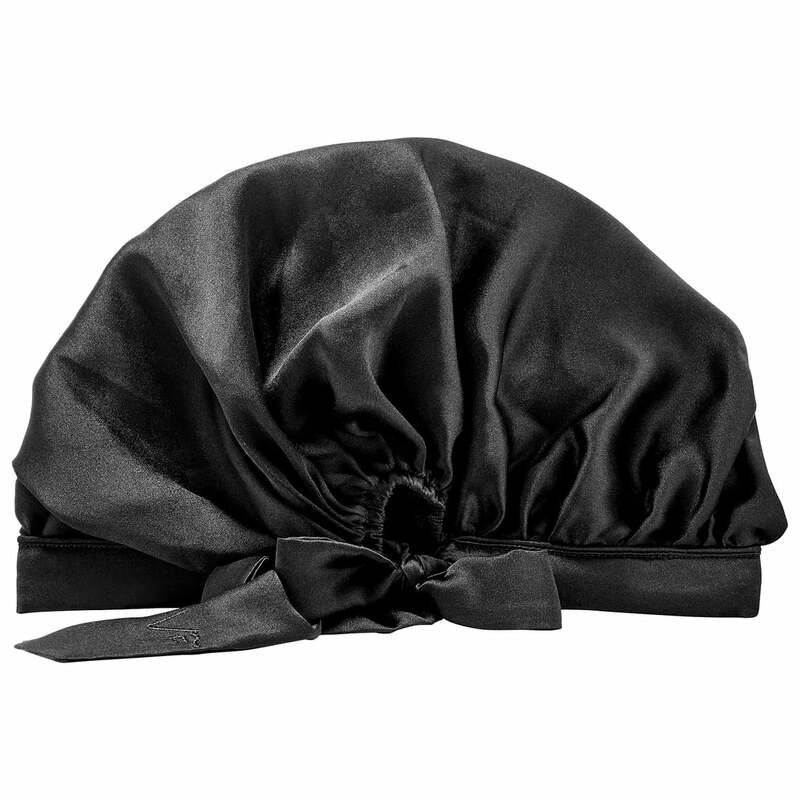 This Shhhsilk Silk Sleep Bonnet ($48) is made of 100 percent pure mulberry black silk. 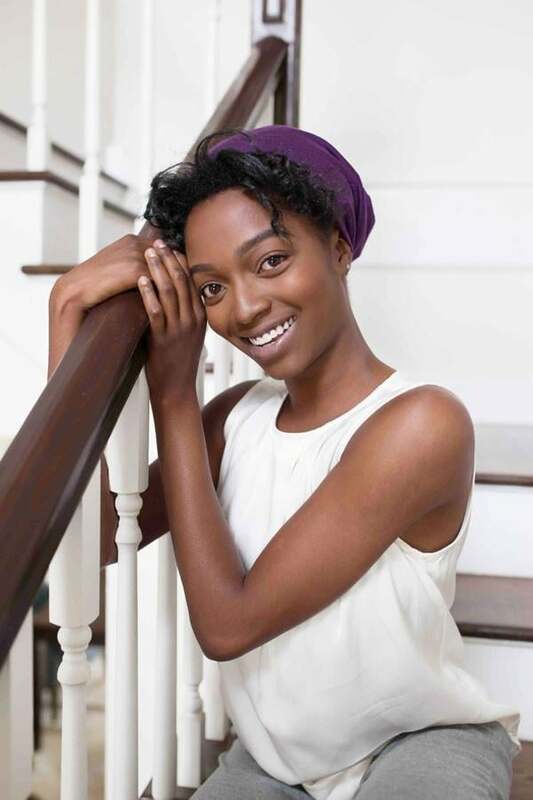 Tie up your hair in a loose bun and secure it with this bonnet. When you wake up, your hair will be shiny and frizz-free. This Vernon Francois Sleep-In Silk Cap ($25) comes with a convenient black band so you can secure it on your head without worrying about it sliding off when you sleep. 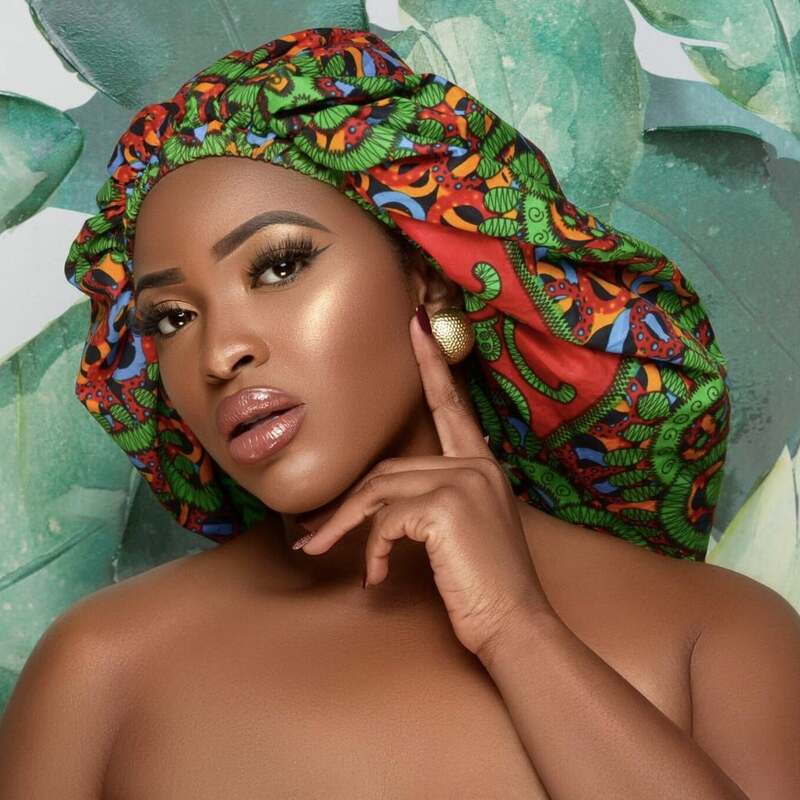 Preserve your curls by twisting them into a pineapple and keep them snug with this Swak Couture Satin Lined Head Wrap ($15). It comes in a variety of African prints that also make a cute accessory to wear even when you're not snoozing.